Her father, José Figueres Ferrer, was elected president of Costa Rica three separate times – in the 1940s, 50s and 70s. Papa Figueres led Costa Rica’s 1948 Revolution – which ushered in an era of modern democracy. Her mother, Karen Olsen Beck, was a legislator and ambassador. Her brother, José María Figueres, was Costa Rica’s president between 1994 and 1998 and put the country on a path to sustainable development. 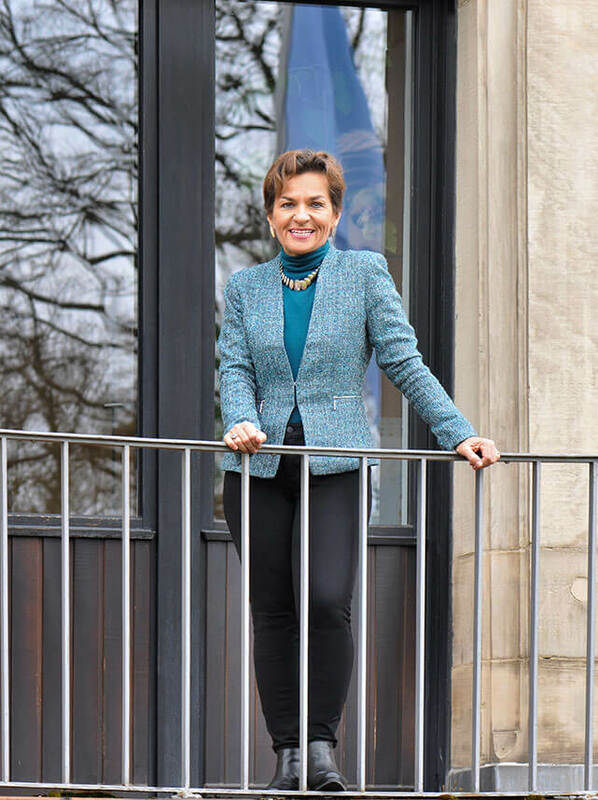 Corporate Knights had an opportunity to sit down with Christiana Figueres in April during her brief visit to Toronto, where she was invited to speak with Canadian business and government leaders. Before that she was in Quebec City attending a premiers conference on climate change. It was a rare chance, she told the Toronto Star, to “peek under the domestic kimono” of Canada and interact with its subnational governments. Below is an edited summary of our interview with Figueres. CK: What is your reaction to the recently announced Ontario climate change plan? FIGUERES: We welcome the emissions trading scheme for Ontario, and the news it is going to link with Quebec, which is already linked to California. This is one way to put a price on carbon. That price is more efficient the larger the jurisdiction. Further, B.C. has the carbon tax and Alberta has the levy. Through the effort of the provinces, Canada can join the community of nations that are already engaged on this topic – not to save the planet, but because it is in their economic interest. It is in everybody’s interest to be as creative as possible in figuring out how to get more productivity out of every ton of CO2 we emit. CK: All 192 UN member states have committed to filing updated emission reduction targets – called Intended Nationally Determined Contributions (INDCs) – to the UNFCCC in advance of the Paris climate talks in December. Given what you have seen submitted so far, can an ambitious global target be reached in Paris? FIGUERES: Thirty-four countries have submitted their INDC contributions: 32 industrialized countries and two developing countries – Mexico and Gabon. The only four industrialized countries that we are still waiting for are Canada, Japan, Australia and New Zealand. Prime Minister Harper has told us he intends to submit by June, before the G7 meeting. The logic behind the INDC approach is bottom-up: a careful assessment by each country of its efficiencies. Above all, INDCs are an investment plan. They identify where each country can invest, profitably, in a change of technology and energy system that is going to get them a bigger benefit and is going to create jobs. If we stick with business as usual and heavy dependence on fossil fuels, we are not going to create new jobs. If we open up to new areas, with new industries, new technologies, new skills sets, then we are creating jobs in something we know is going to be long lasting. CK: The EU has set a target of 40 per cent below 1990 levels by 2030. Is this a credible commitment? FIGUERES: It is. We are still pushing the curve of innovation and technology development to get to where we will have technology at the cost necessary to reach scale. Once we get to that point, we will see a rapid deployment of new technologies that will help all of these countries. Not only to meet their current targets, but to beat them. We see that trend already in the projections we have. The EU will get to 40 per cent and exceed it. CK: What impact will the U.S.-China climate deal announced last November have on the Paris talks? FIGUERES: It was very helpful. China and the U.S. are the highest emitters. Traditionally they have been at odds about climate. To see them come together is to realize two things: First, that it is in each individual nation’s interest to accelerate this technological and energy transformation. Secondly, that they can do more by working with each other than working separately. Both of those messages were in that statement. CK: What do the commitments from China and the U.S. actually mean to you? FIGUERES: I have no reason to doubt either government. In fact, China has a track record of putting these types of stretch targets into their 35-year plans. They not only reach these targets, they over-comply with them. China currently is generating more electricity from wind than from nuclear power. When they say they are going to invest in solar or wind energy, we don’t have to believe them, just see what is there. The huge problem in China is coal. The Chinese would like to breathe cleaner air. It is very interesting: public pressure from people who are suffering from polluted air has actually caused the response in the Chinese government, to the point where they have closed coal plants that are close to cities. They have taken on peak coal by 2020 and they are investing very heavily in the alternatives. Lastly, they realized that we are going to a low-carbon economy, and they want to continue to be competitive. They have been competitive in the past for their low labour cost, which is no longer the case. They need to be ahead of the curve. They want to continue to produce for their own consumption but also for export of all those technologies that are going to be in demand. CK: How solid is the U.S. commitment? FIGUERES: Equally solid. It is based on either already existing regulation, such as for new power plants, or regulation that is being finalized. We already see the effects of this. Many coal mines in the U.S. are closed, and the emissions profile of the U.S. has come down. They are on the pathway and they understand the same thing that China does. The business sector in the U.S. doesn’t want to be left behind with technologies that are not marketable. They also want to be on the cusp of the development and be competitive. So I have no reason to doubt that the U.S. is going to meet those targets. CK: The IPCCC says emissions need to peak by 2020 to avoid ‘catastrophic’ climate change. What is the strategy, once INDCs are synthesized in the fall, to encourage developed and developing nations to make commitments that are closer to where the science says they need to be? FIGUERES: We don’t have to wait for all of the INDCs to come in to know that the sum total of those INDCs are not going to get us on the 2-degree pathway. Responding to climate change and being able to get on to the path to keep under 2 degrees doesn’t happen overnight. It is a process. The analogy I use: when you want to get to a destination you know where you are going and you choose a vehicle. You start moving because you know your direction and what your route is. You also know the mileage you need to pass. That is the concept that we have to insert into the Paris agreement. Ultimately, the science says we all need to peak globally over the next 10 years and then sharply reduce emissions to the point where we get to climate neutrality by the second half of the century. We can start on that path. That is the important step. CK: Is the Green Climate Fund that was set up in Copenhagen the best mechanism to ensure developed countries are investing sufficiently in incentives to ensure developing countries take the cleaner path? FIGUERES: It received pledges for initial capitalization of $10.2 billion last year in Lima. The current plan is to decide on first allocations in fall of this year. It is the instrument that all countries have agreed to. It is also a financial institution that is exclusively devoted to financing climate change. The clarity of focus really helps. When you have 194 countries that agree on something, you don’t take that lightly. 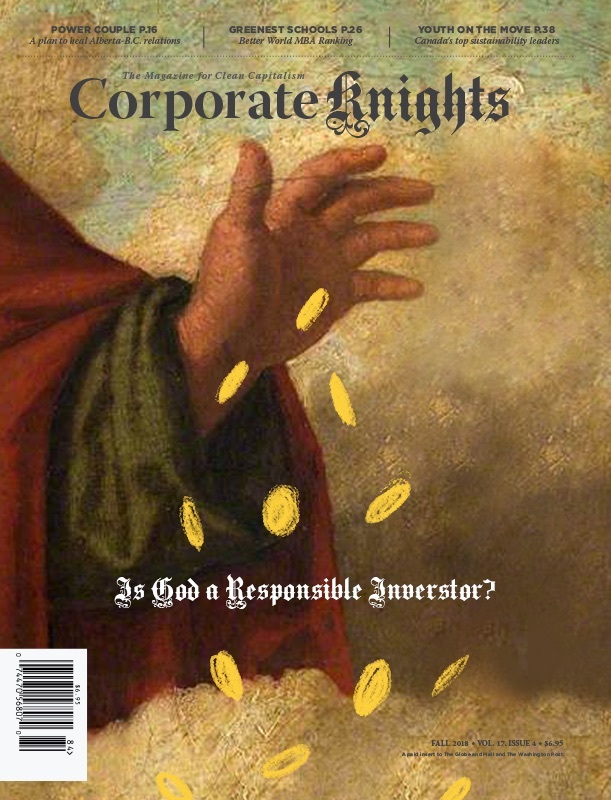 CK: What is the plan, if any, for compensating those who have invested in “stranded assets” – that is, those who will be stuck with increasingly unprofitable carbon-intense assets? FIGUERES: I don’t think there is a plan to compensate people for stranded assets. The conversation is about preventing stranded assets. We already know we are moving to a low-carbon economy, so any new investment into expensive fossil-fuel extraction doesn’t make much sense. Proportionally, the market share of fossil fuels will go down. Cheaper, less carbon-intensive fossil fuels will be kept in the energy mix. The 50 per cent drop in oil price over the past year is none other than a very intentional effort to take off the table very expensive fossil-fuel exploration and projects that will not be viable with lower prices. CK: What keeps you going and inspired? FIGUERES: My daughters. This is a problem we inherited. My parents had no clue about this. We are the first generation that does understand. The science is there. This is none other but a parental responsibility. History is calling this generation to stand up and accept this responsibility.